Columbia Greenhouse Nursery School is one of America’s oldest nursery schools, founded in 1919. We are committed to early childhood education and fostering the healthy emotional, social, intellectual and physical development of young children. 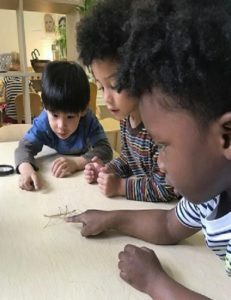 We are an independent, not-for-profit preschool and one of the early childhood programs affiliated with Columbia University. We pride ourselves on reflecting the diversity of the Upper West Side of Manhattan and are open to all who wish to apply.